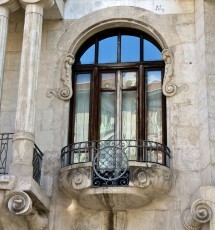 Casa Fuster is in the heart of Barcelona's Art Nouveau Historic District. Its freeform architecture and interior detailing are exemplars of this style. Casa Fuster is named after Mariano Fuster, a prominent figure in Mallorcan society. 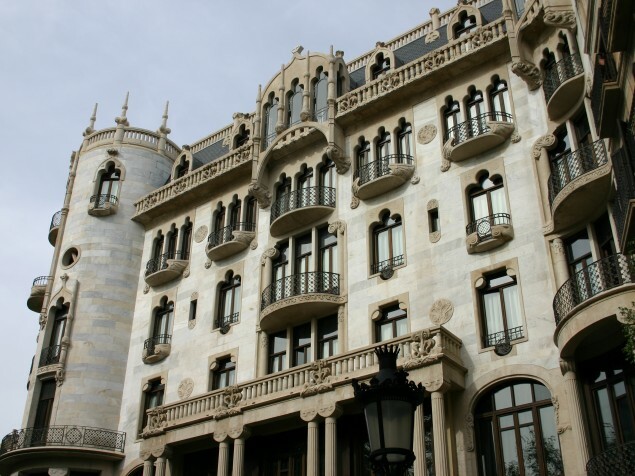 In 1908 he hired Catalan architect Lluis Domenech Montaner to design a home as a gift for his wife. It was quite a large residence, and the Fuster family occupied the first floor only. The building changed hands in 1922, becoming a cultural center and social hot spot for artists, intellectuals, and anyone who thought they were. The street level Café Vienes on the Passaig de Gracia, the “main drag” of Barcelona, was the place to be seen. In 1960 Casa Fuster was acquired by a utility company that wanted to demolish it. Fortunately they were prevented from doing so, and, in an about face, commenced with its restoration. The building was later acquired and opened as a luxury hotel in 2004. It has been a member of the Hoteles Center brand ever since. Hoteles transformed Casa Fuster into a 5 star, truly, one-of-a-kind historic hotel. It is the only hotel in Barcelona in a recognized historic building. 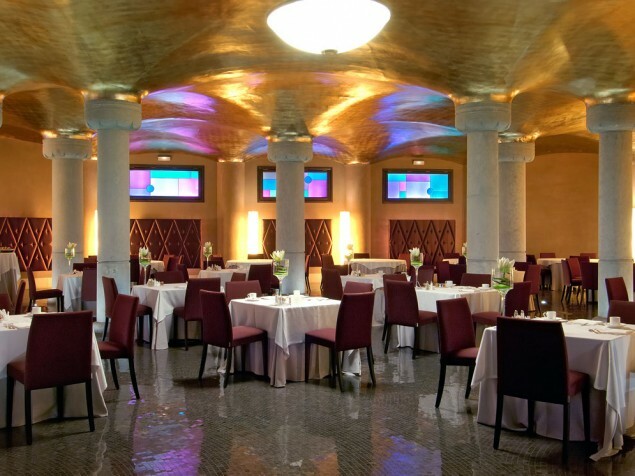 The lobby and lounge areas of Casa Fuster are unique, featuring swirving ceiling surfaces, curvalinear banquets, and simply-detailed columns supporting shallow arches. 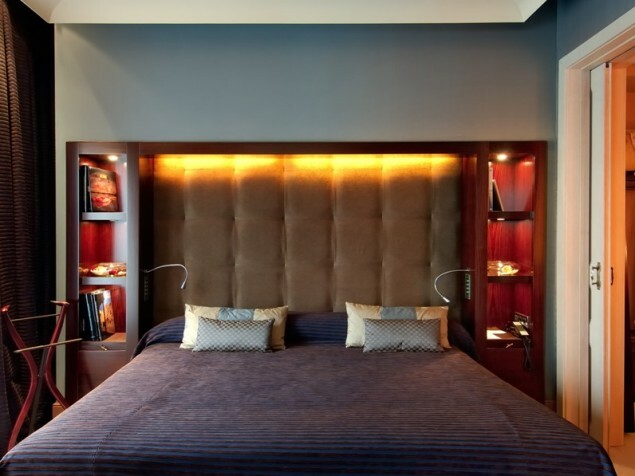 The hotel offers 104 guest rooms, each decorated with modernist colors and fabrics in continuity with the public areas. 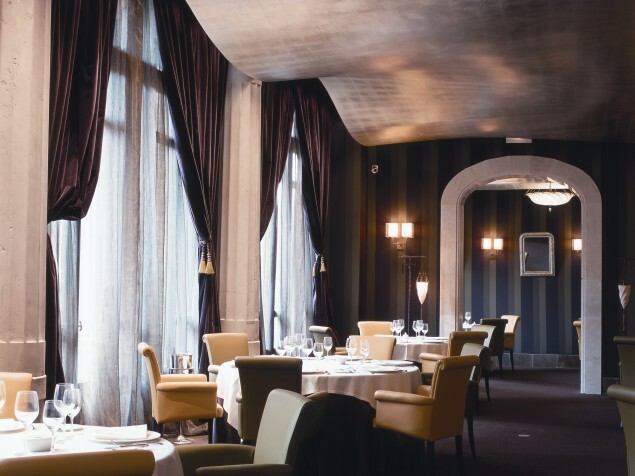 Award-winning chefs offer contemporary Mediterranean cuisine in the Galaxo Restaurant, named after the town where Fuster lived. 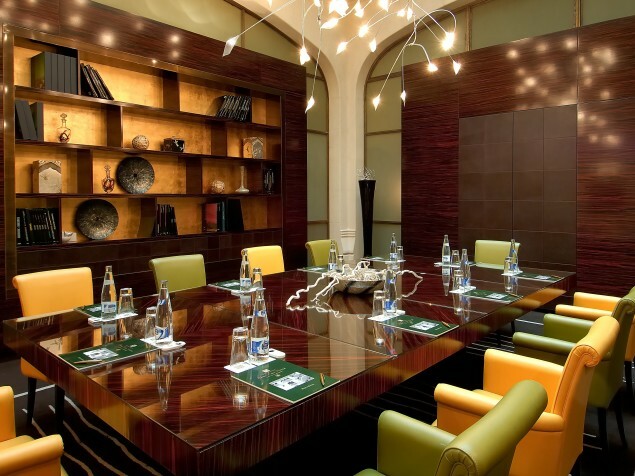 Rooms for meetings and private dining rooms feature bold colors, with directional fabrics and wallcoverings. The beautiful, vinelike, organic architectural hardware from the Art Nouveau period, is a standout feature. The famous Café Vienes continues to welcome a new generation of social gatherers, and features weekly live jazz. The Passaig de Gracia is Barcelona’s famous boulevard, ideal for shopping and dining, and for its wealth of architectural landmarks, including Gaudi’s Casa Mila and Casa Batlio. 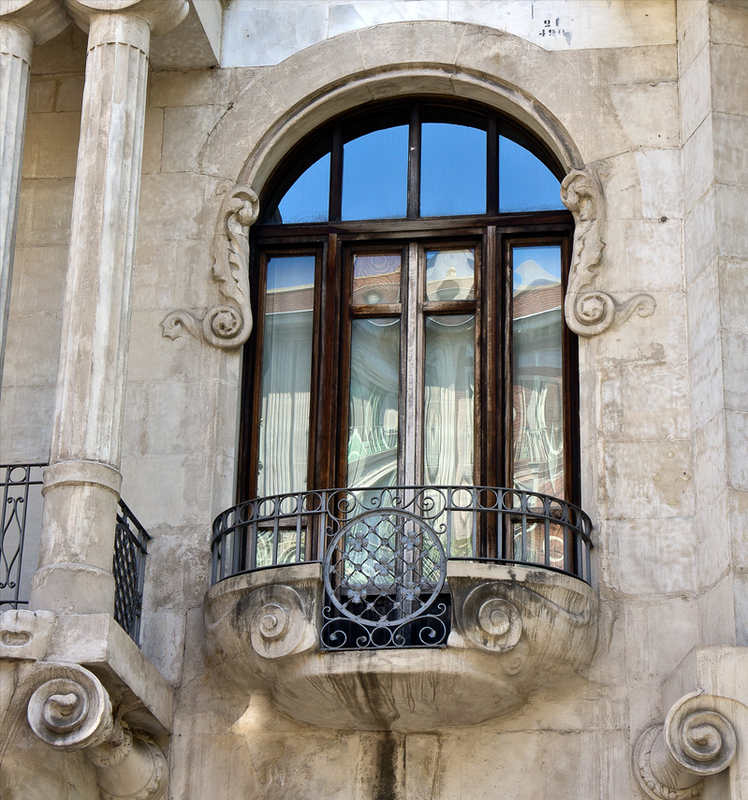 There are many buildings in Barcelona that give us access to the city's heritage, but there is only one hotel that so brilliantly celebrates its Art Nouveau architectural roots. And that is Casa Fuster. To this day it fulfills Mariano Fuster’s original objective, which was to make Barcelona more beautiful.